Austal has announced its results for the six months ended 31 December 2015, which showed that the company achieved revenue of $747.5 million and a net profit after tax of $16.8 million. The company said its businesses continued to generate strong cashflow despite a reduction in earnings form Austal USA and Australia, enabling the Board of Directors to double interim dividend to 2.0 cents per share. Austal also said it continued to pay down gross debt and ended the half with net cash of $30.6 million. 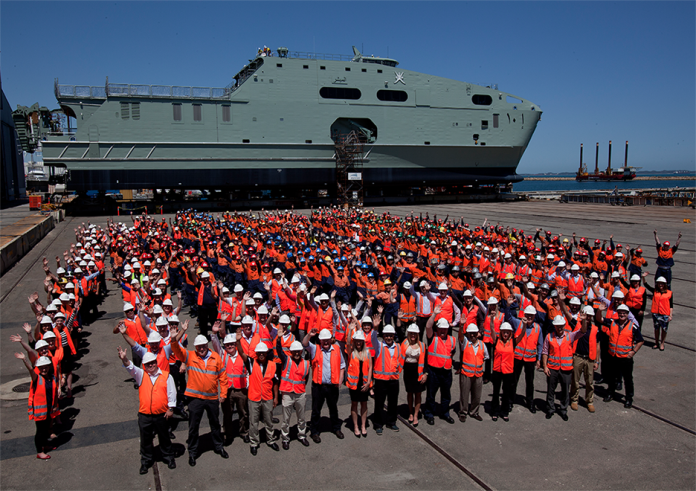 Austal Chief Executive Officer Andrew Bellamy said earnings were impacted by reduced shipbuilding margins in the USA and the lower throughput and margin in Australia. He said the company’s reduction in revenue in Australia reflected a decrease in throughput following conclusion of the original 8-ship Cape Class Patrol Boat program in August and the investment to prepare for the future Federal Government shipbuilding programs. “Austal was able to deliver solid earnings, strong cash flow, a further reduction in debt, and higher dividends for shareholders. The speed at which the Littoral Combat Ship program has matured since delivery of LCS 6 – our first as prime contractor – has been slower than we initially expected as flagged in December, driving lower earnings from our US shipyard in the half,” Mr Bellamy said. The company currently has 21 vessels under construction.